A world at your fingertips. That’s the wealth of resources held by public and academic libraries—and these books, databases and other items are available to anybody. Even better, they’re free. Mount Allison’s libraries would like to encourage community members to visit us and borrow our resources. A library card is free and entitles borrowers to anything in our collection that circulates: books, DVDs, CDs, etc. The borrowing period is three weeks, with three renewals. You can renew online, in person, or by phone or e-mail. 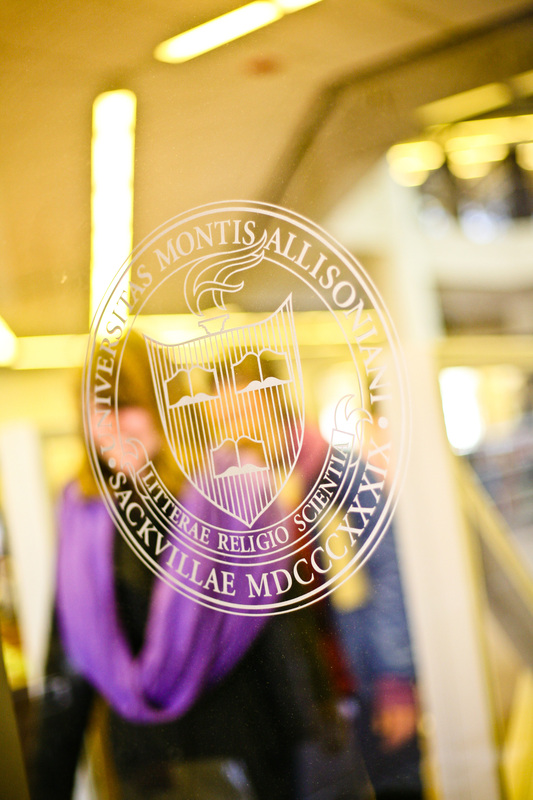 We provide library cards to residents for whom Mount Allison is the closest English-language university library. We also provide temporary cards for visiting researchers. What do we have to offer? The Mount A Library has roughly half a million books, organized by subject. Our literature collection, for example, spans many shelves on the second floor. Want the latest Giller winner? CBC Canada Reads picks? Booker Prize winner? We’ve got you covered. We have excellent collections for lovers of non-fiction, too: History; fine arts; politics; economics… our collection is current and growing. The bulk of our print and electronic resources support teaching and research at Mount Allison. With the breadth of courses taught across disciplines, the result is a well-rounded collection that supports most research and literature needs. If we don’t have what you are looking for, librarians are happy to take your suggestions and help you place requests for items held at other libraries. You can search our online catalogue from home by going to libraryguides.mta.ca or visit the library at 49 York Street and we’ll show you how. The library subscribes to more than 69,000 electronic journals. Most are available in databases such as ProQuest, Wiley, and JSTOR. Due to licencing, off-campus access is restricted to students, faculty and staff; however, anyone is free to use these databases within the library. Staff will provide guest Internet passes for use on your own devices or on any of the Library’s 20+ public computers. Beyond books and electronic journals, the library carries print newspapers and magazines, located beside a nook with soft seating just across the aisle from the library’s Flying Bean Café. Eating and drinking are permitted on all five floors of the library. We also carry good old-fashioned library standbys. We have reference books and print encyclopedias on everything under the sun. Community members are also welcome to use our microfilm collection of newspapers dating back to the 1700s—popular among genealogists. Special collections unique to our Library include the Bell Collection of Acadiana and the Mary Mellish Folklore Collection—the third-floor Mellish Room has one of the best views in Sackville. Mount A’s robust Music program also means we have one of the best music collections in Atlantic Canada—housed in its own library on the lower level of the Conservatory on Main Street. We encourage you to come to the Libraries and browse our stacks and spaces. If you have questions or need directions, we are happy to help you.